I recommend you download the source code (GitHub) and debug APK for the demo to better understand the explanations below. The demo shown earlier uses only two of these effects: DashPathEffect and PathDashPathEffect. The tracing animations are implemented using the phase parameter of DashPathEffect instead of PathDashPathEffect. The DashPathEffect constructor lets you specify the length of the dashes as well as the amount of space between the dashes. The trick is to make the dashes and spaces as long as the path itself. The full effect can now be realized by animating the phase value between 0.0f and length. You can find the full implementation of this animation in the file StateView.java. The drag indicator, drawn as an arrow, is a little trickier to implement. Instead of using one path effect we need to use two: a DashPathEffect to fill the arrow trail and a PathDashPathEffect to draw the tip. The advance on the PathDashPathEffect is set to the length of the path to move the tip to the end of the path. The full implementation can be found in IntroView.java. I used SVG files to store the paths in this demo. While convenient, this format proved to be slow to load, at least with the library I am using, and I would probably switch to a custom binary format if I were to use this effect in a real application. Considering that the effect only needs the path geometry and no styling information, such a format would be simple and fast to parse. The paths are stored pre-transformed so we can measure their length at their final on-screen size. A slightly more advanced version of this code can be found in SvgHelper.java. The implementation used in the demo applies scaling to ensure the paths fill their containers properly. The implementation of all these effects can be found in MainActivity.java. Awesome demo and post. Thanks for writing this. Are there any tutorials on how to create a similar scrolling view like you did, Romain? It’s only ScrollViews and HorizontalScrollViews. I can’t figure out what is causing it. I use “mSvg.renderToCanvas(canvas, viewBox);” instead of “mSvg.renderToCanvas(canvas)” to solve the problem. Thank you! and called mSvg.renderToCanvas(canvas) later, the crash occurs while the svg library calls canvas.getWith() and canvas.getHeight() in the SVG#renderToCanvas(Canvas canvas, RectF viewPort) method. Canvases can be created on non-UI threads. The problem is not threading, the problem is that the Canvas I create is not backed by a Bitmap so internally getWidth()/getHeight() crash on a null pointer. Note that this doesn’t occur on 4.4 so obviously this issue has been fixed in the platform. awesome job. I was wondering if it’s possible to get any character’s edge and put in into a Path as joints in android. I notice that when I use paint.setStyle(Paint.Style.STROKE) and canvas.drawText, it actually draw the edge of the characters,canvas did get the character’s edge and draw.so it seems possible to do that,I just don’t know how, can you help me with that? You can use the API called Paint.getTextPath() to get a Path that represents the outline of a series of glyphs. Awesome! Cool pics man, also great post. I have a question. 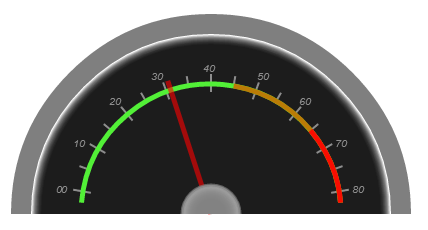 In the “Path tracing” section, you talk about animating the phase value between 0.0f and path length but we must create a new DashPathEffect instance on each phase update. I check in StateView.java and a new DashPathEffect instance is created on each setPhase call. Is it the good way to do that? Can you show us a way to screencasting without rooting.Have you any ideas how to use the cameras to focus on the canvas/bitmap/picture/surface/surfaceholder.What about canvas.save in picture.This is my challenge to you since you know more about the api.It will be appreciate if just you write an article about this problem and explain what are the problems to achieve this. Merci et je souhaite voir un post bientot. Hi! The article and sample code are awesome, thanks a lot. I’m wondering if it would be possible to fade in the filled content of the svg, I’ve been trying for a while with no success. But when run a test application to draw with PathDashPathEffect the result is too small as was expected. But everything is ok, when I set setLayerType(LAYER_TYPE_SOFTWARE, null). The code is almost the same as in “Phase out” part of the article. Since the comments are disabled, I had no choice but to ask about it here. But I can’t understand how to make a radial gradient (I am new to graphics API in android). Is there a simple and effective way to draw an arc with gradient edge? Thank you in advance and sorry for unrelated comment. Wow, great tutorial! I appreciate your design and your simple explanation! Thanks.